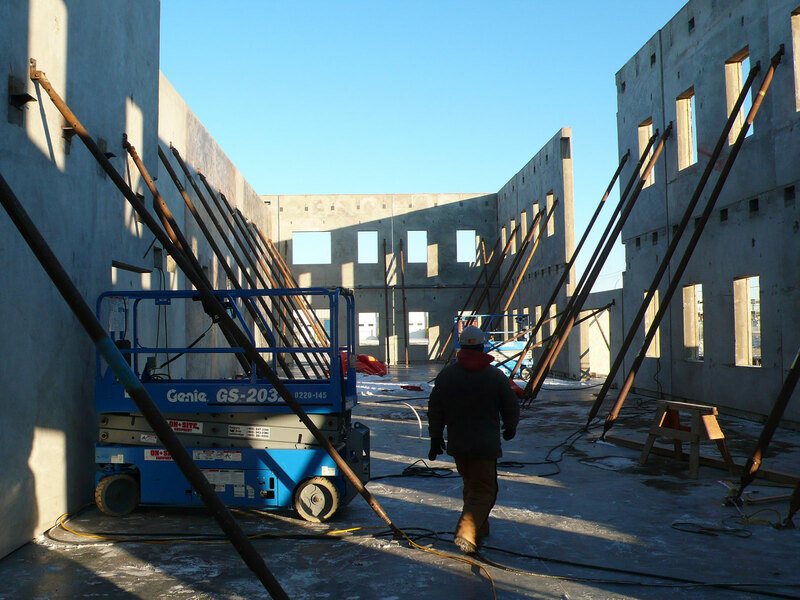 Elite Formwork is a formworks company that is based in Calgary. With the steady growth that Calgary had been experiencing, Elite Formwork evolved to correspondingly outgrow their existing office space. The importance of exploring the creative use of concrete in the building was a key criterion for the design. 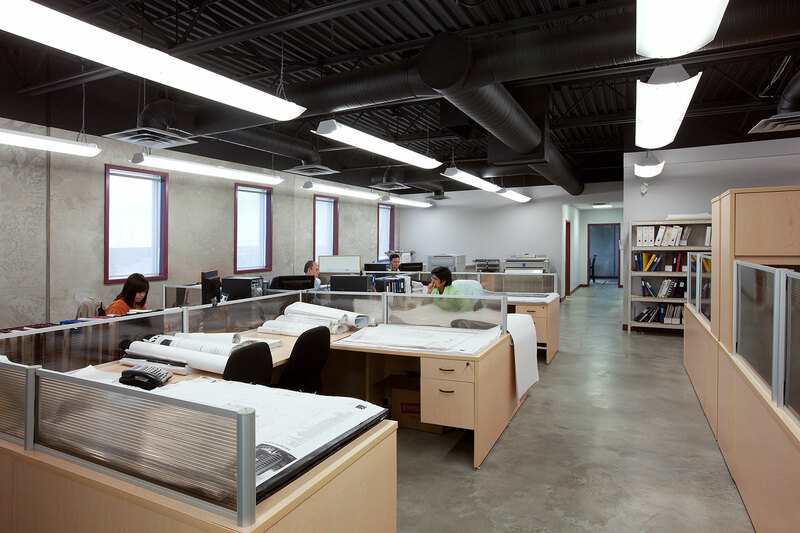 Deciding to explore the use of tilt-up concrete panels, a system that is rarely used in Calgary for office buildings, the project design was set in motion. 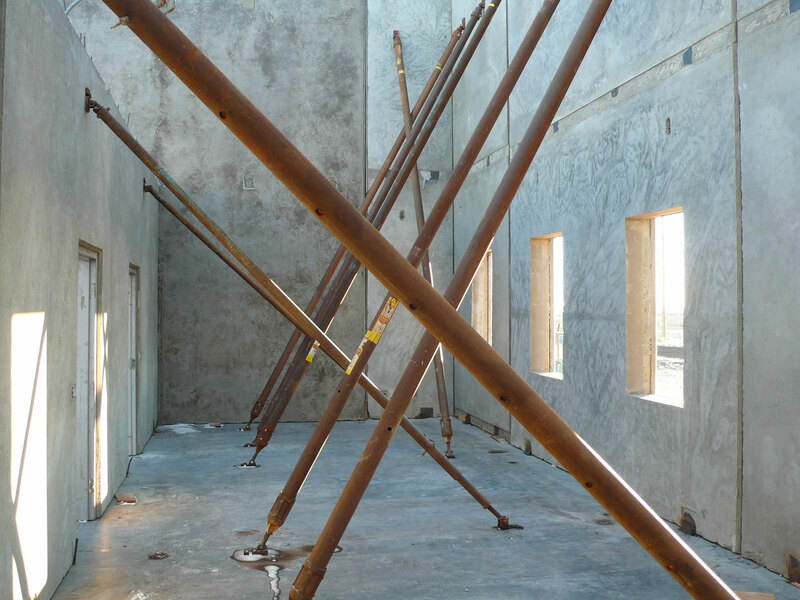 The building design concept utilizing a tilt up panel system was selected for economics and speed of erection and also incorporated a layer of insulation as part of the panel “sandwich” construction. 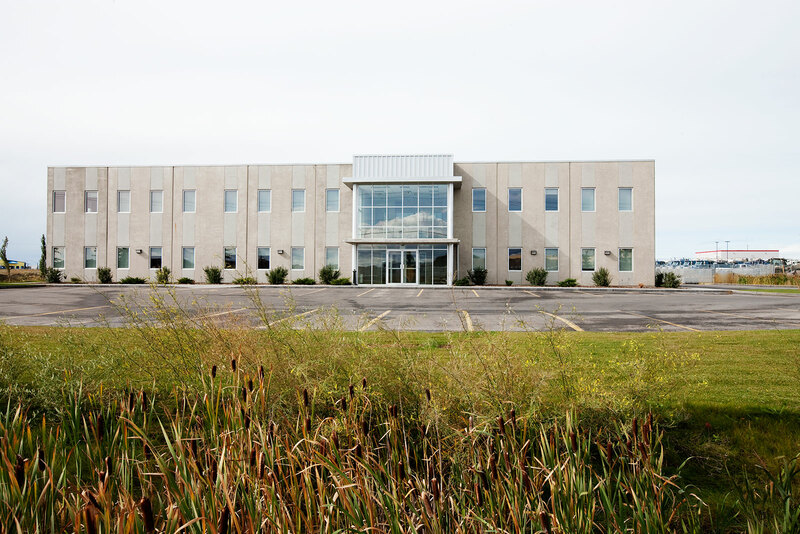 This allowed the interior face of the building to be exposed concrete, expressing the nature of the business of the company, and also saved costs by eliminating the need for studding and drywalling the inside face of the exterior walls. The panel aesthetic was reinforced with vertical windows, introduced as a regular rhythm of vertical cuts accentuated by vertical banding in the concrete. 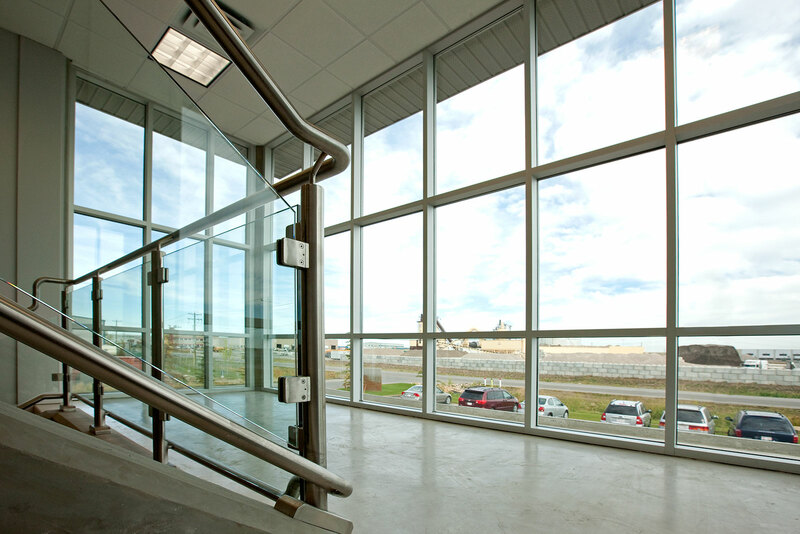 The main entry includes a cast in place concrete stair that follows the perimeter of the glass box entry volume. 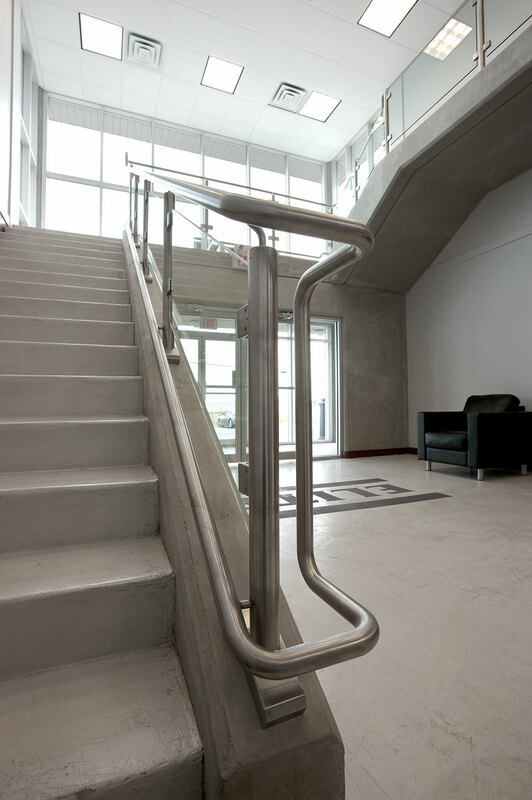 The mass of the concrete stair is contrasted by the glass and steel guardrail. 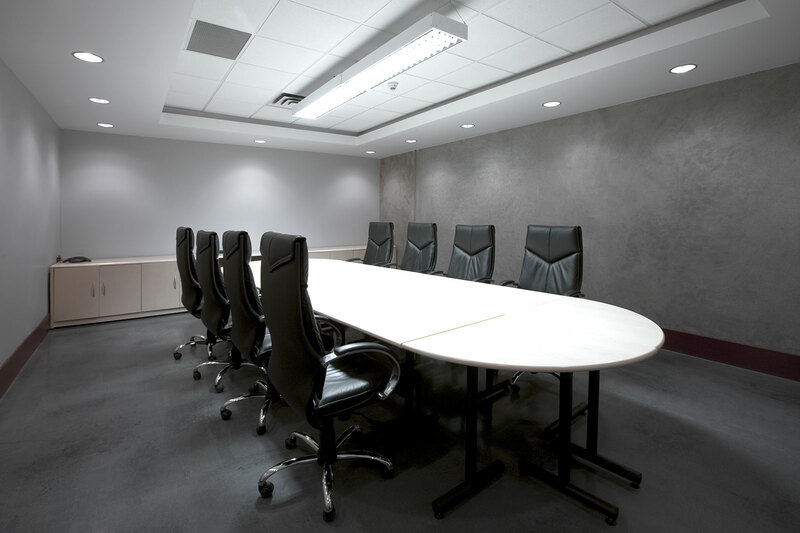 For ease of access the main offices and conference rooms are located on the lower floor while the upper floor of the offices features large open work area for technical production staff and engineers. 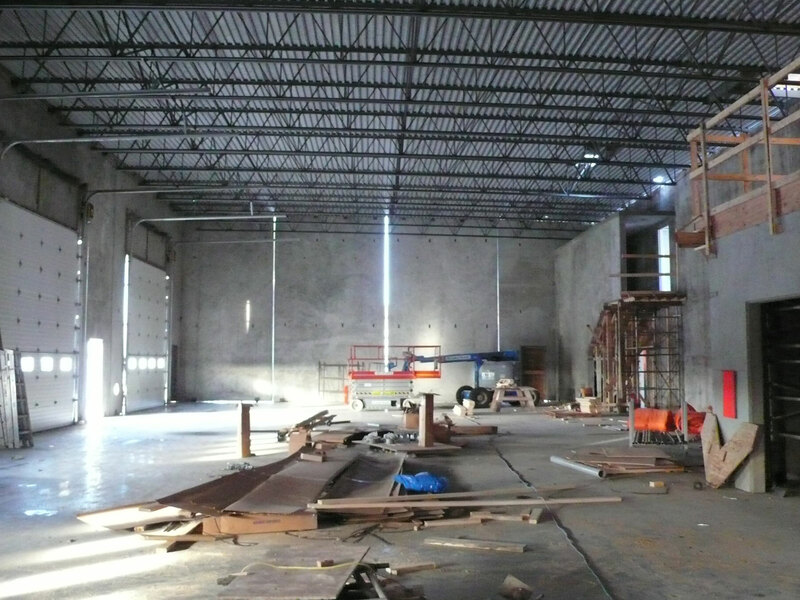 The large warehouse space at the rear allows for fabrication of forms and features in slab heating. The new office facility has become a show piece for Elite and increased area and logical layout of the design has helped in their productivity.